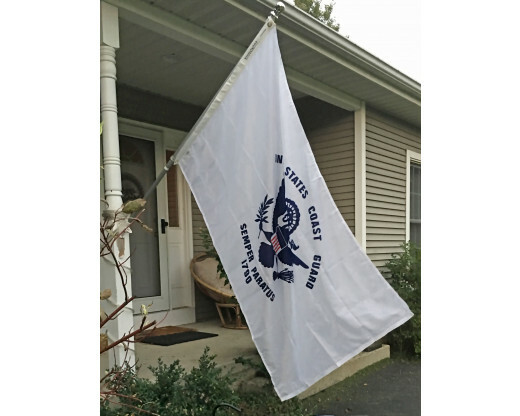 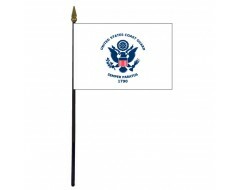 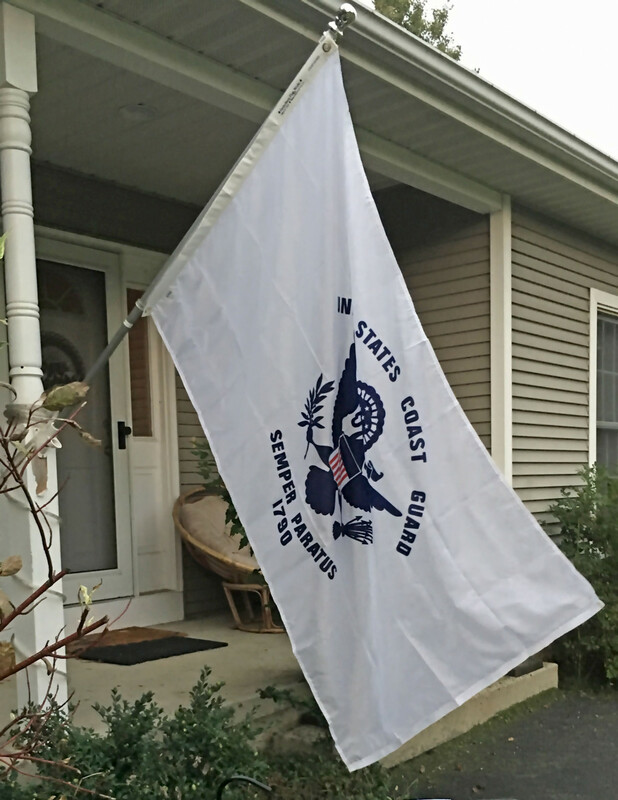 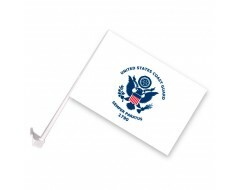 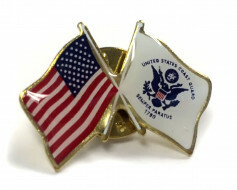 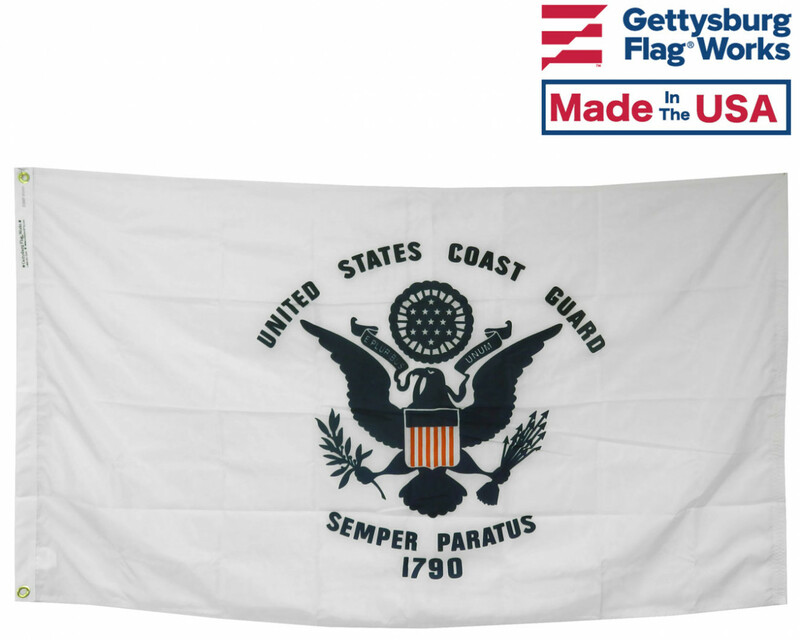 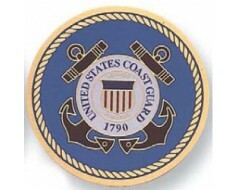 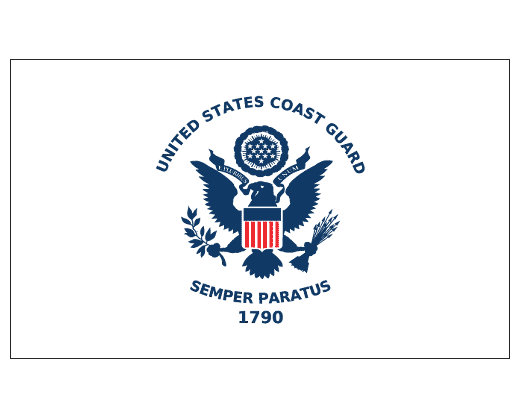 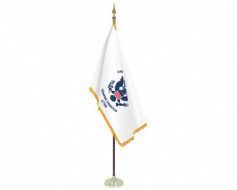 Today's official Coast Guard flag is a white flag with a blue emblem. 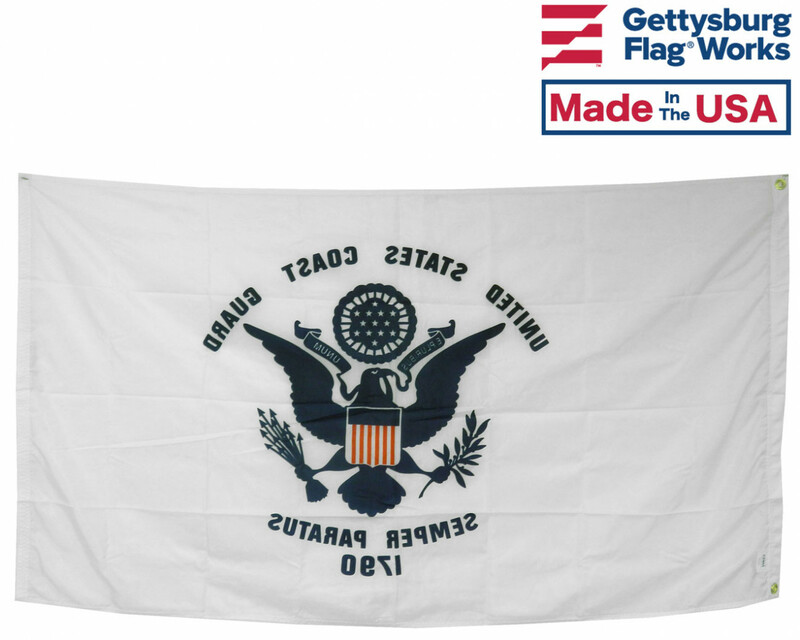 It's history is hard to track though. 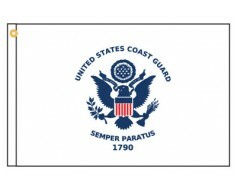 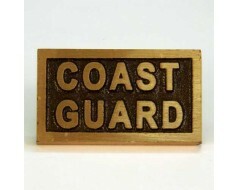 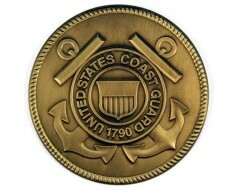 Even the Coast Guard itself can't give an official year, let alone, a date for it's inception. The earliest know image of the flag is from a painting from 1840. 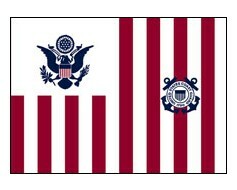 In this painting, the Revenue cutter Alexander Hamilton flies a flag very similar to today's Coast Guard standard as a jack. The next step in the history of the Coast Guard flag is in a 1917 illustration where it is no longer just the canton design, but is an entirely white flag with a blue design. 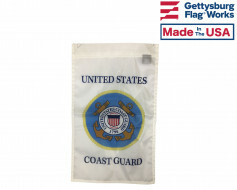 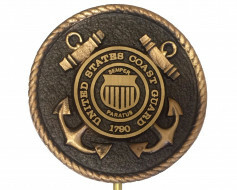 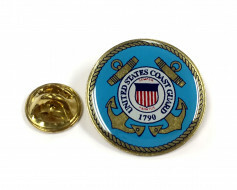 The final design change of the Coast Guard flag would come after 1950 when the the semi-circle of stars would become a full circle and all elements would be finalized into the US Coast Guard flag that we know and love today.